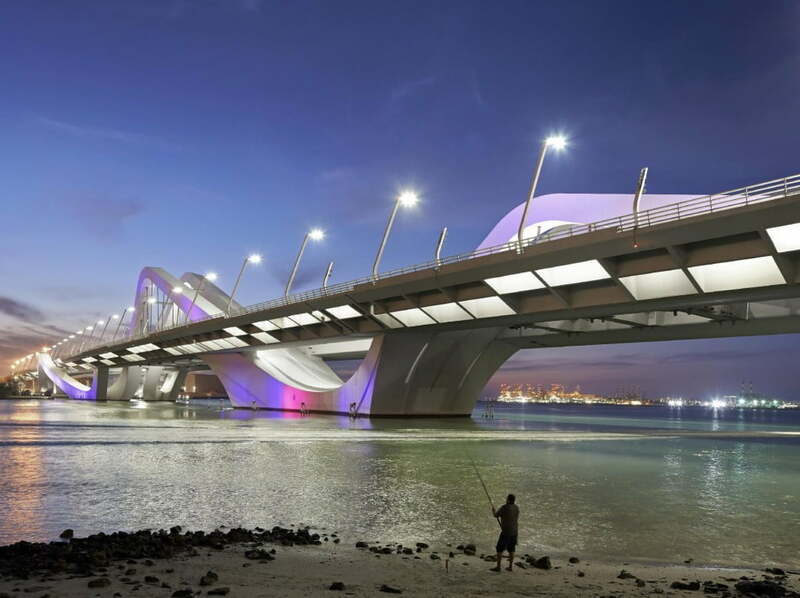 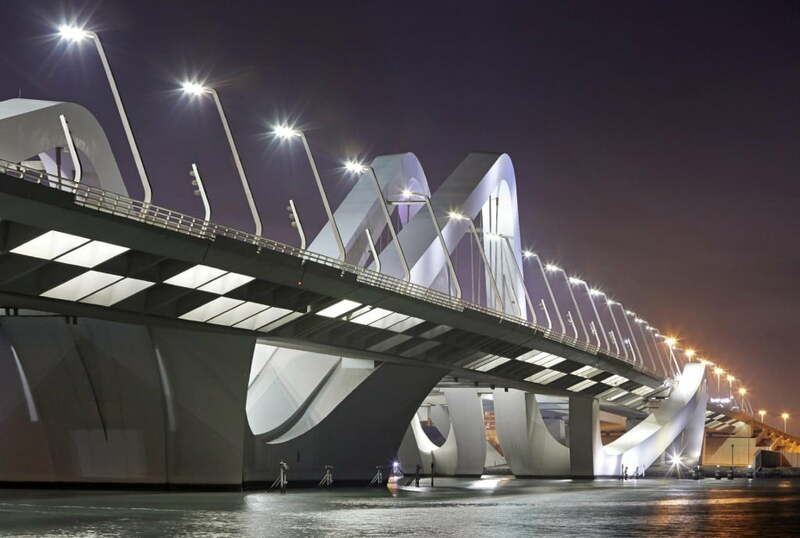 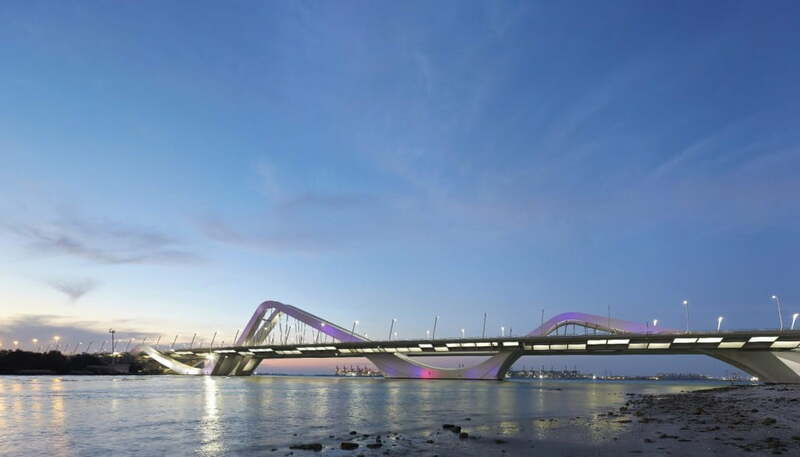 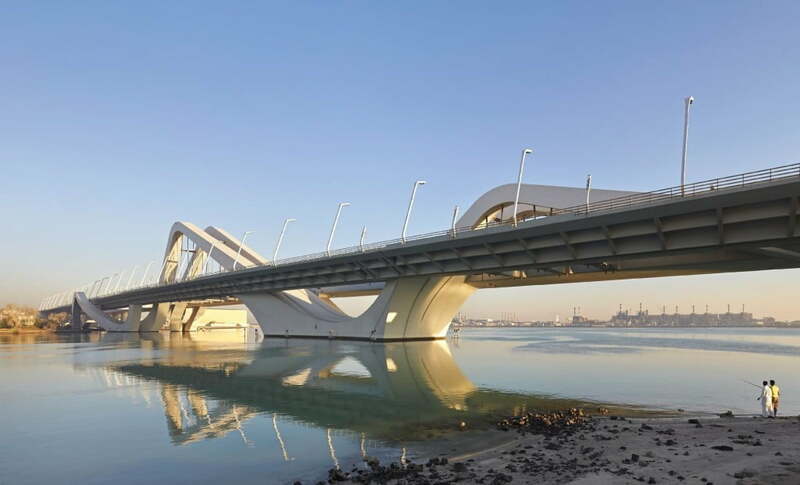 When we are talking about Cool Bridges of the world, Sheikh Zayed Bridge Architecture by Zaha Hadid, recently one of the marvelous bridge architecture project by world famous architect Zaha Hadid, in Abu dhabi. 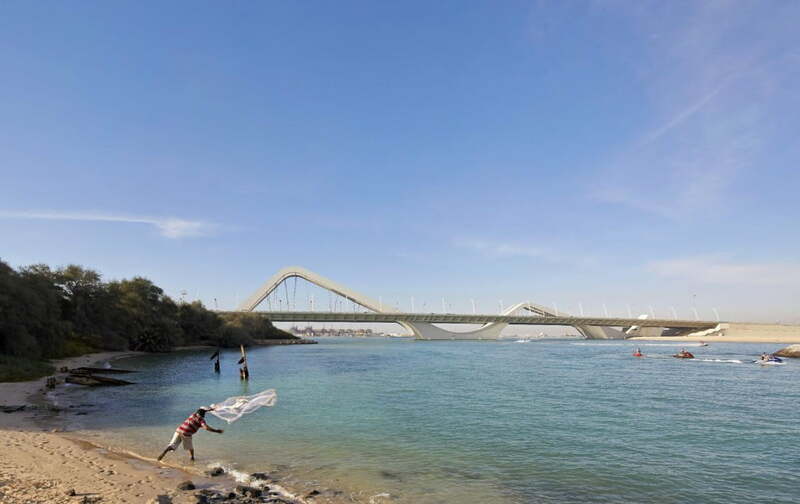 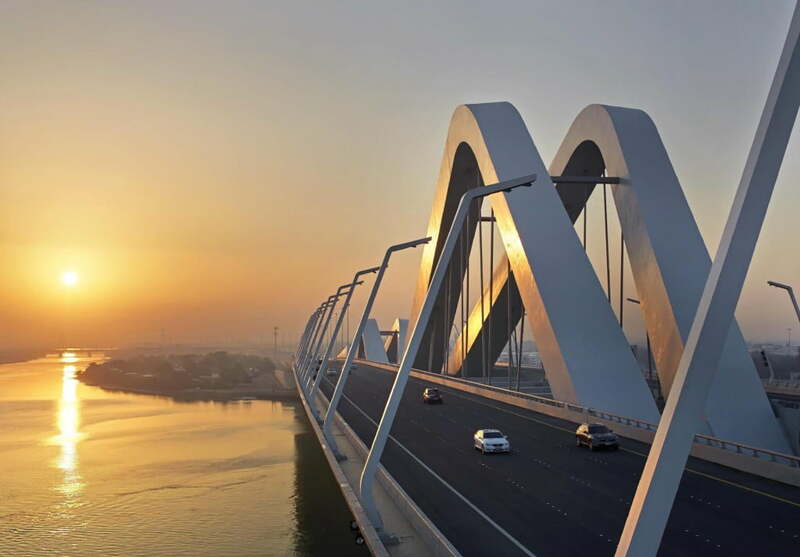 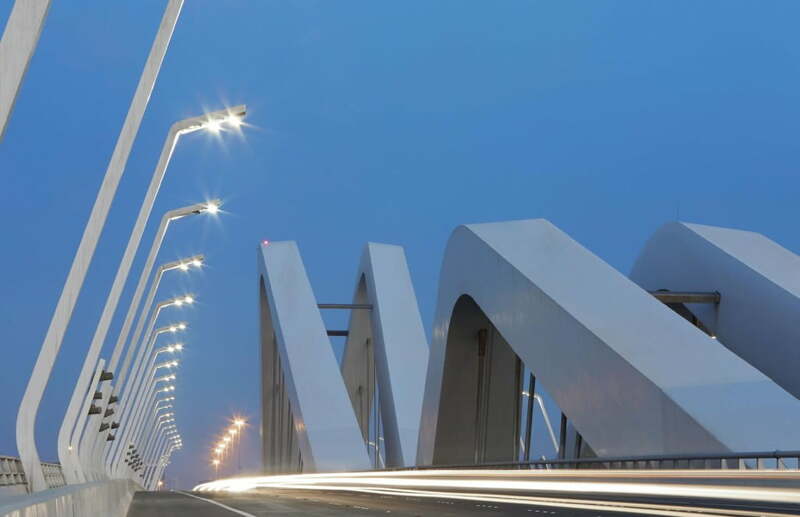 Sheikh Zayed Bridge – connecting the three States of Emirates together. 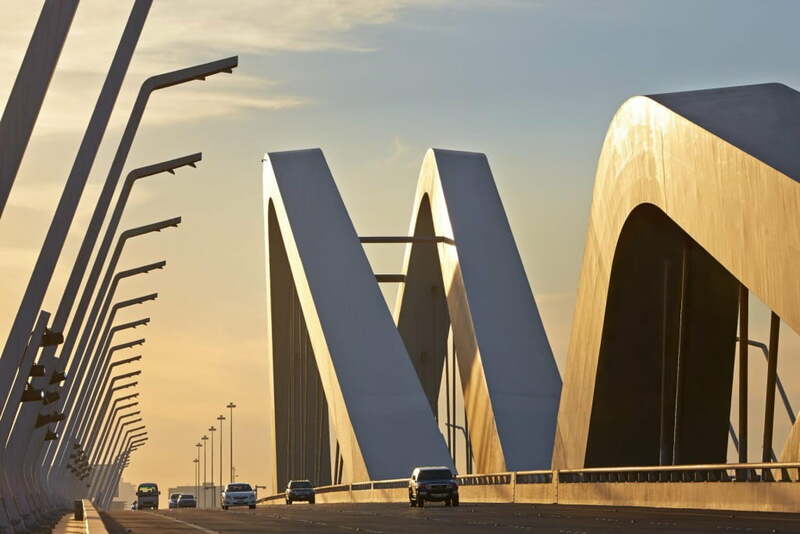 The location of the new (Sheikh Zayed Bridge) Gateway Crossing, close to the first bridge, is critical in the development and completion of the highway system. 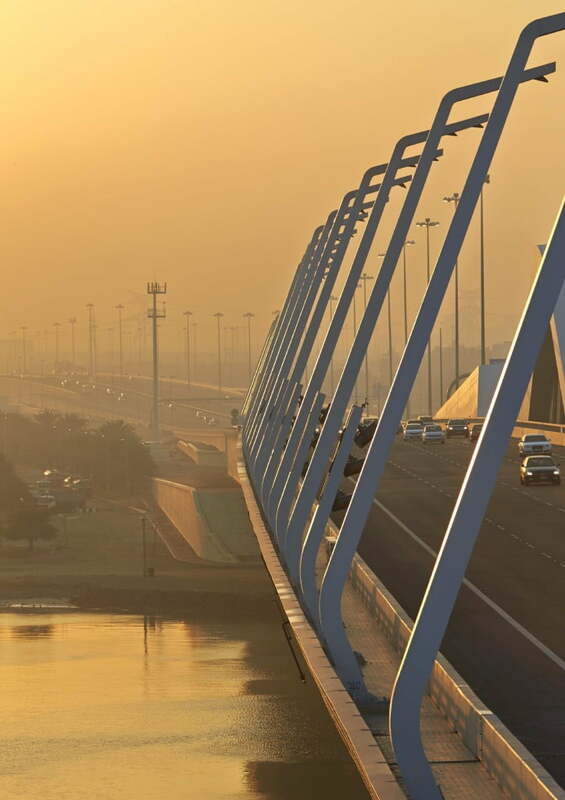 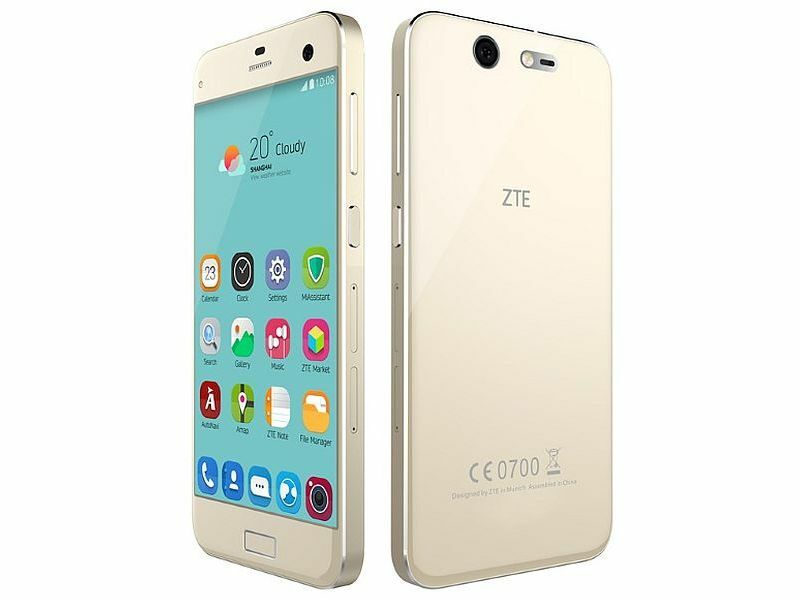 We all know that UAE has a highly mobile society, so that requires a new route around the Gulf south shore. 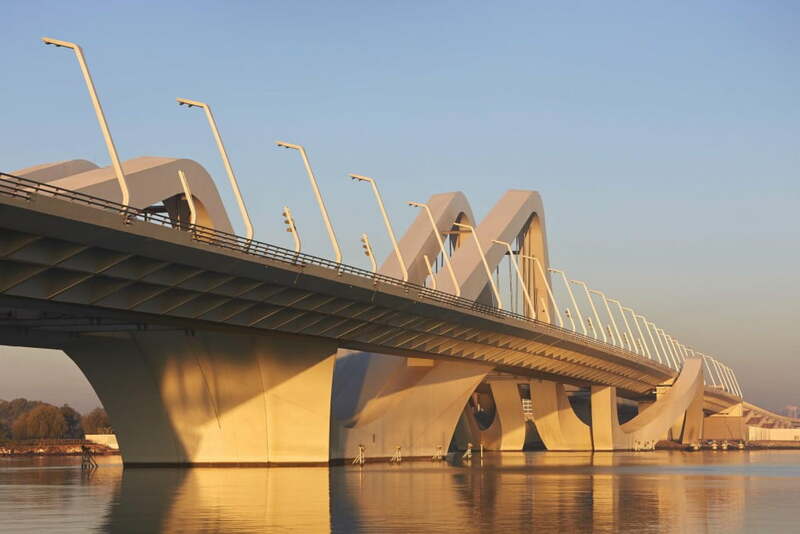 In 1967 a steel arch bridge was built to connect the fledgling city of Abu Dhabi island to the mainland, followed by a second bridge built in the seventies, connecting downstream at the south side of Abu Dhabi Island. 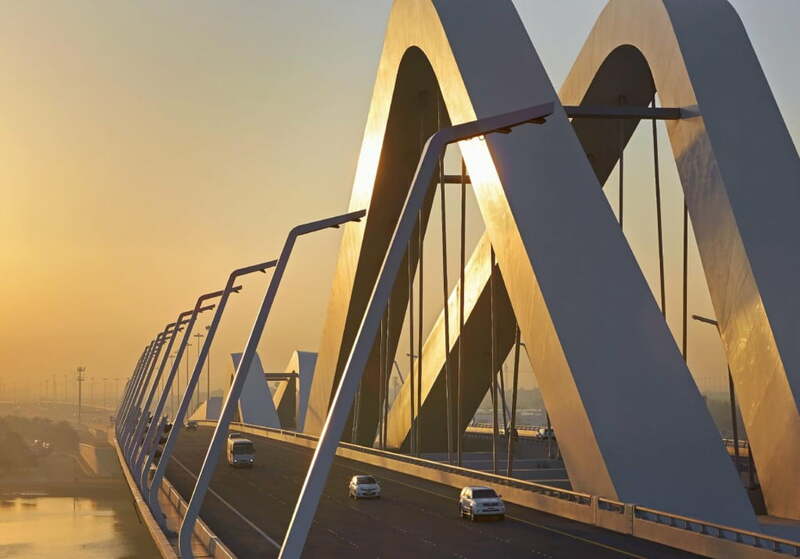 The location of the new Sheikh Zayed Bridge (third) Gateway Crossing, close to the first bridge, is critical in the development and completion of the highway system. 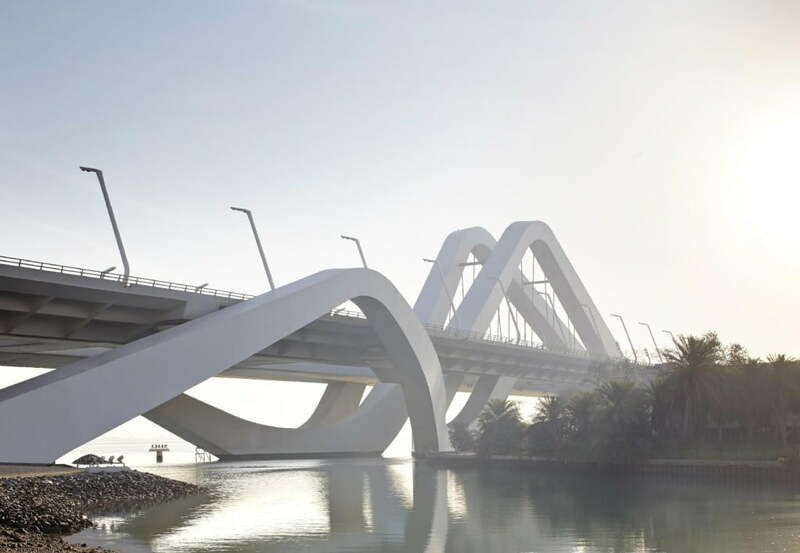 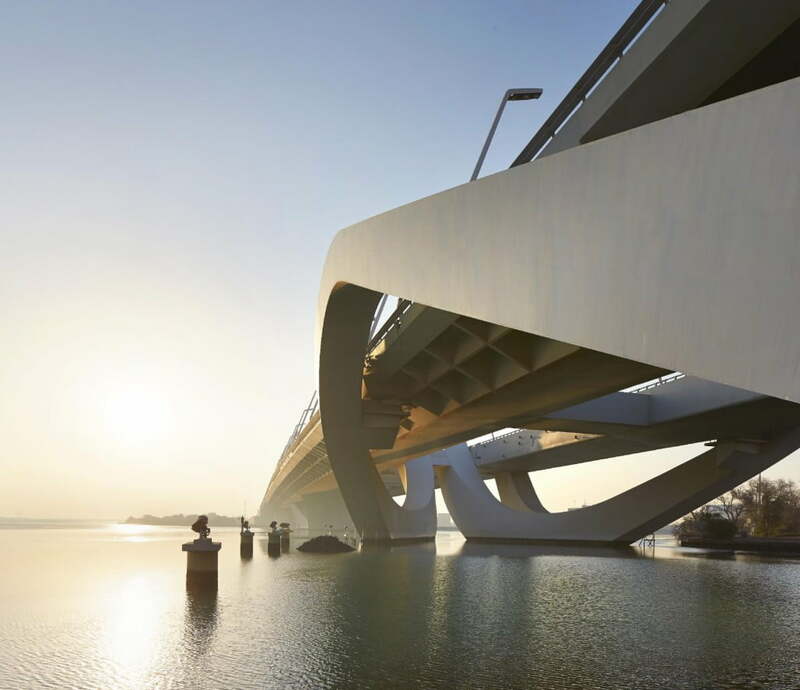 Conceived in an open setting, the beautiful bridge has the prospect of becoming a destination in itself and potential catalyst in the future urban growth of Abu Dhabi. 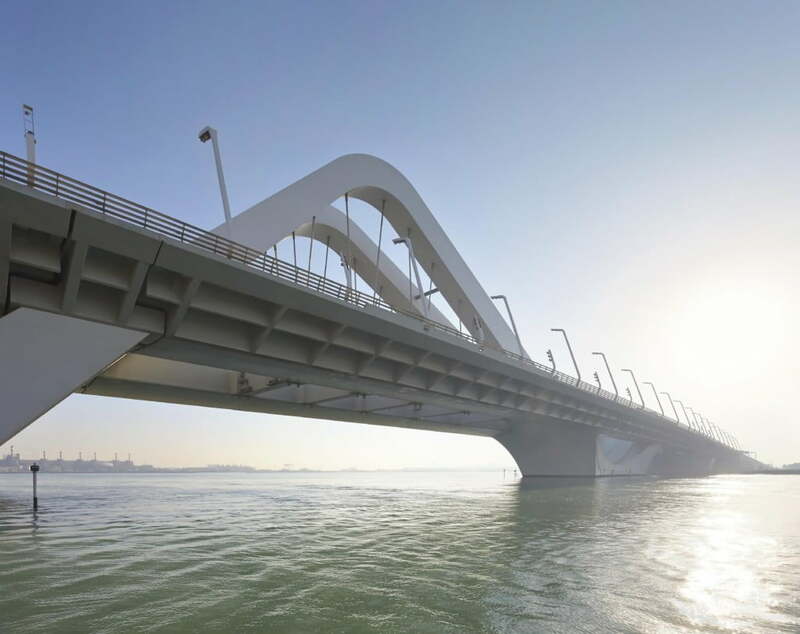 A collection, or strands of bridge structures, gathered on one shore, are lifted and ‘propelled’ over the length of the channel. 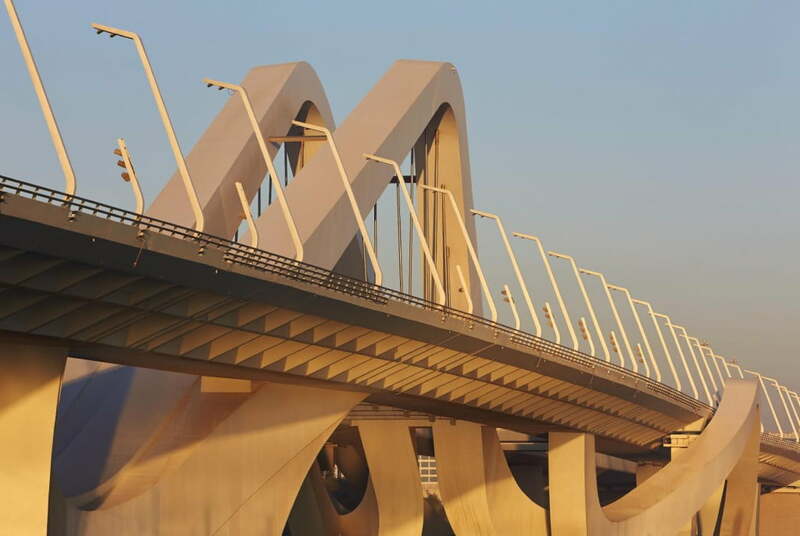 A sinusoidal waveform provides the structural silhouette shape across the channel. 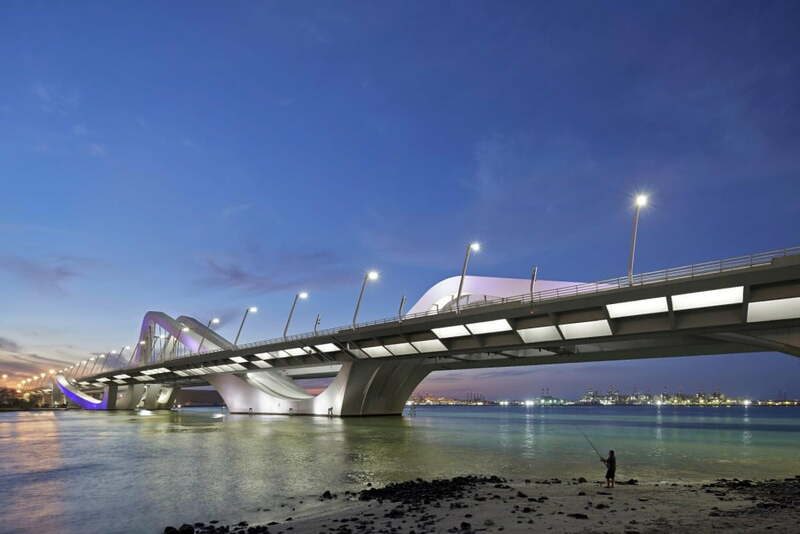 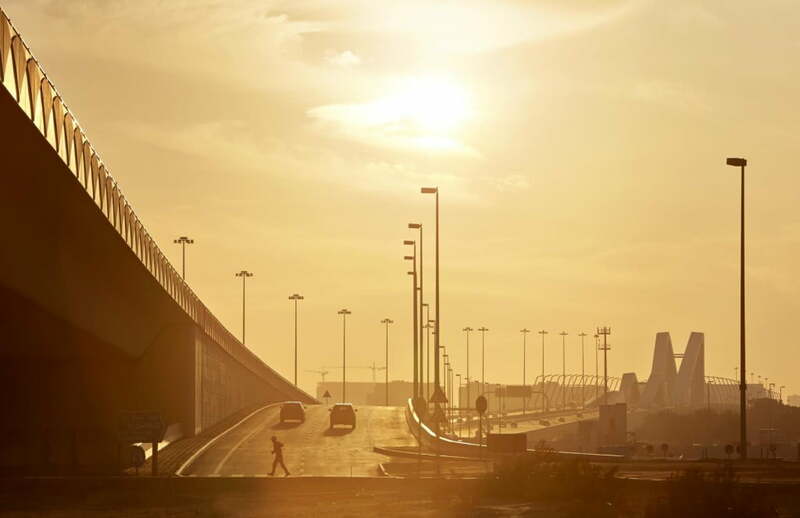 The mainland is the launch pad for the sheikh zayed bridge structure emerging from the ground and approach road. 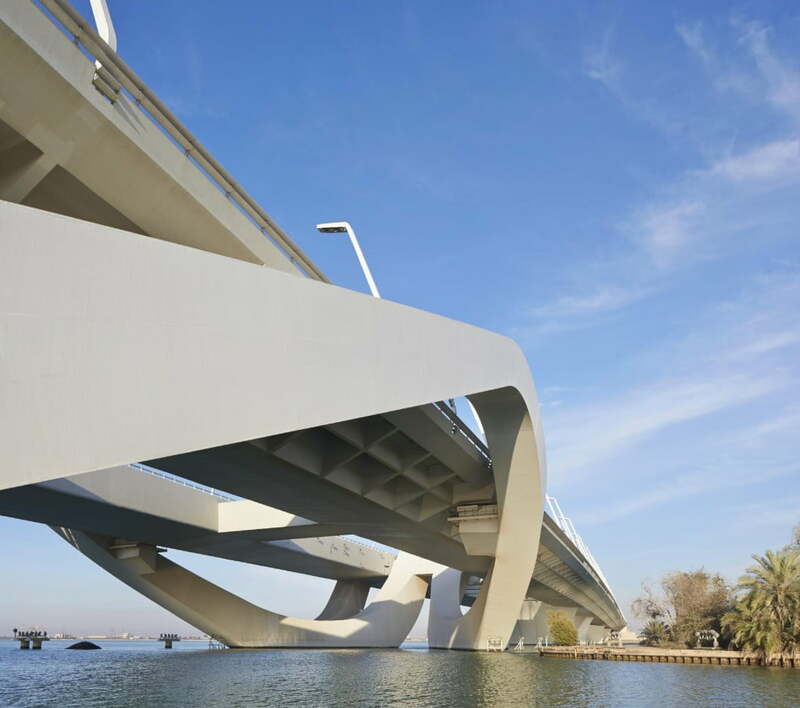 The Road decks are cantilevered on each side of the spine structure of the bridge. 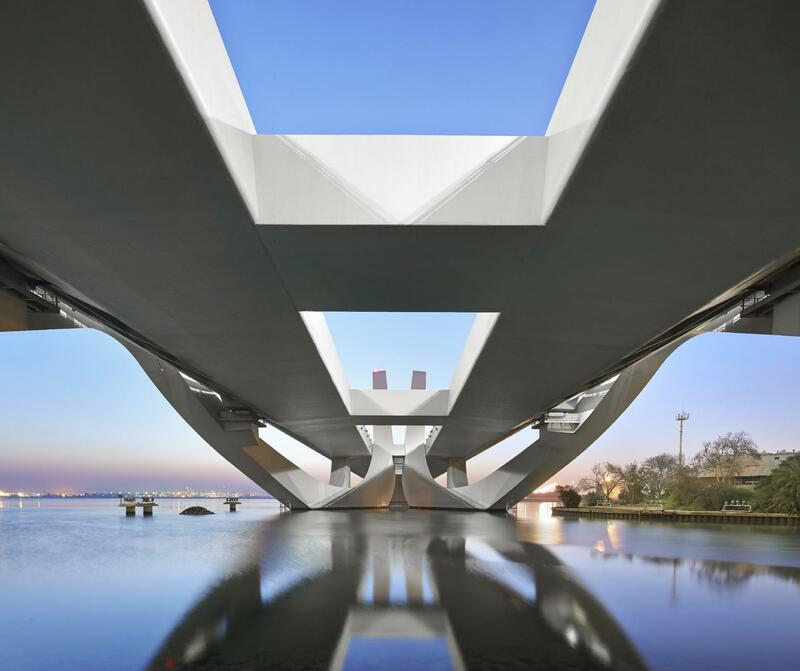 Steel arches rise and spring from mass concrete piers asymmetrically, in length, between the road decks to mark the mainland and the navigation channels. 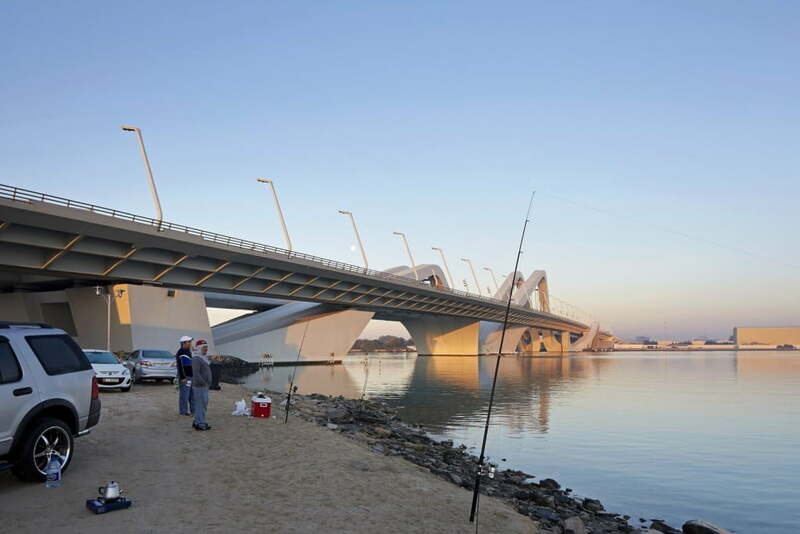 The spine splits and splays from one shore along the central void position, diverging under the road decks to the outside of the roadways at the other end of the bridge. 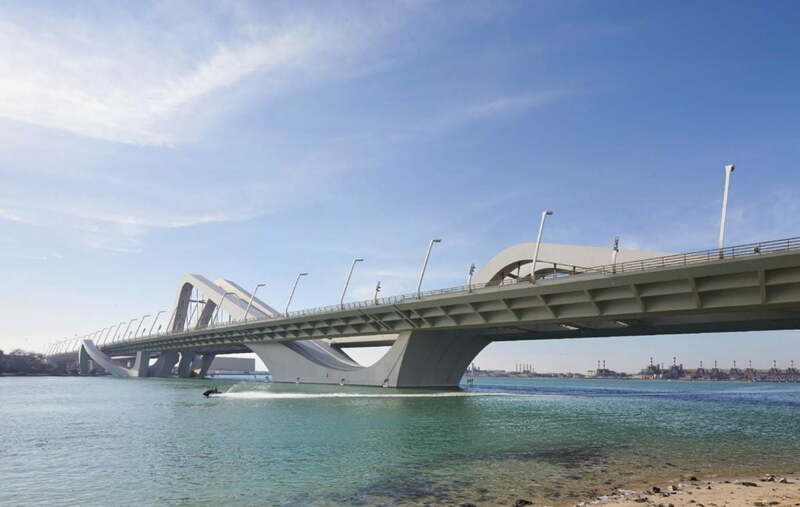 The main bridge arch structure rises to a height of 60 m above water level with the road crowning to a height of 20 meters above mean water level. 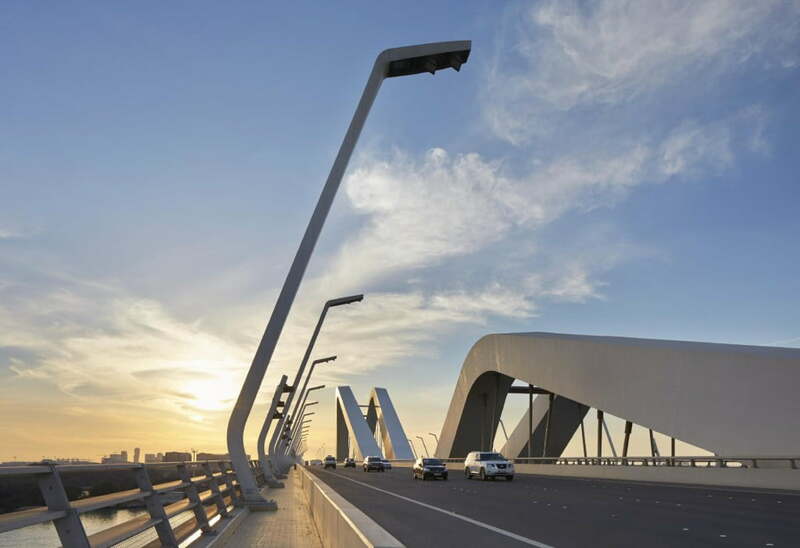 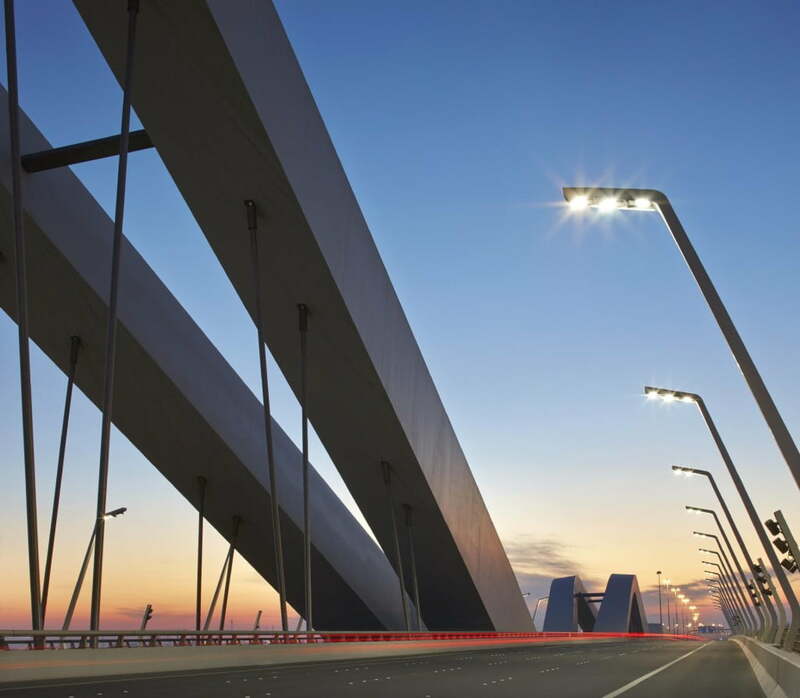 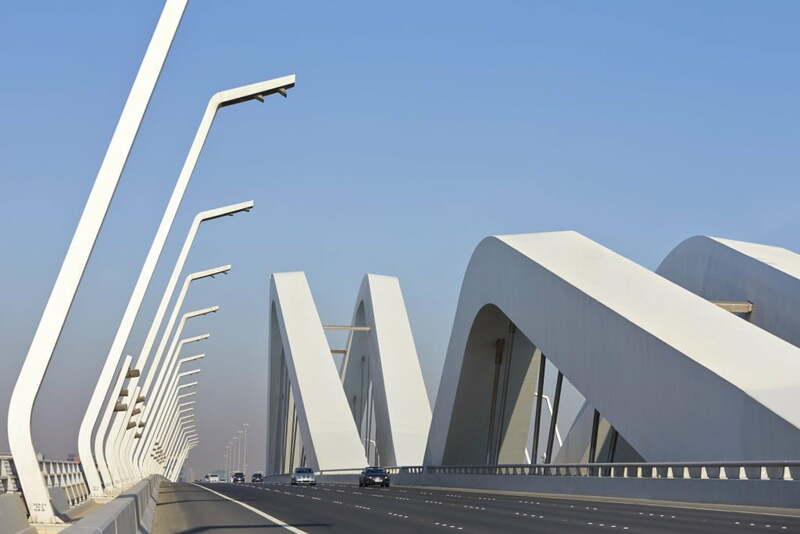 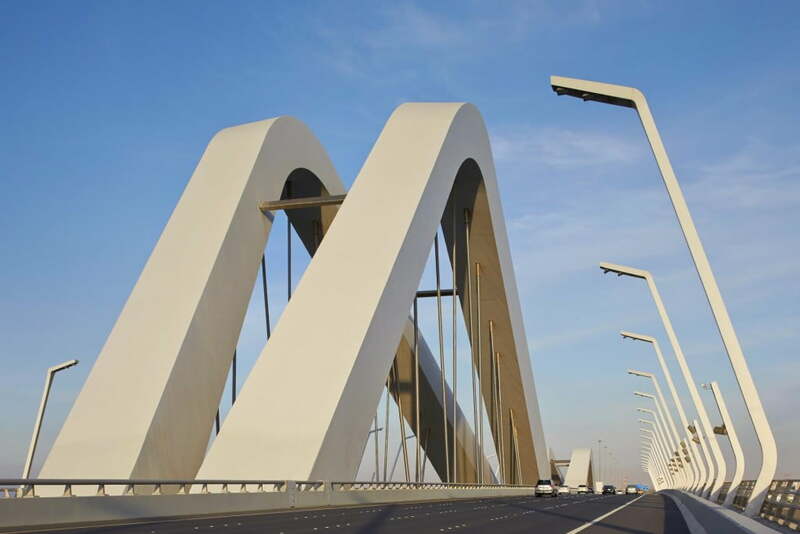 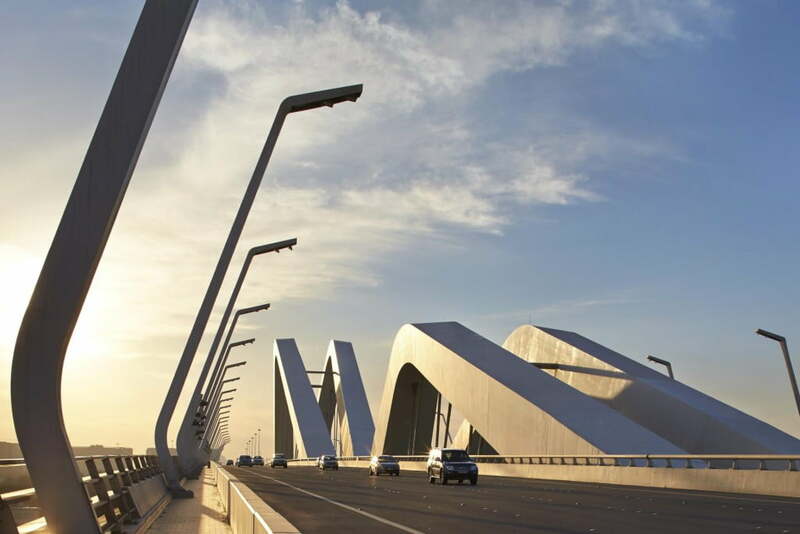 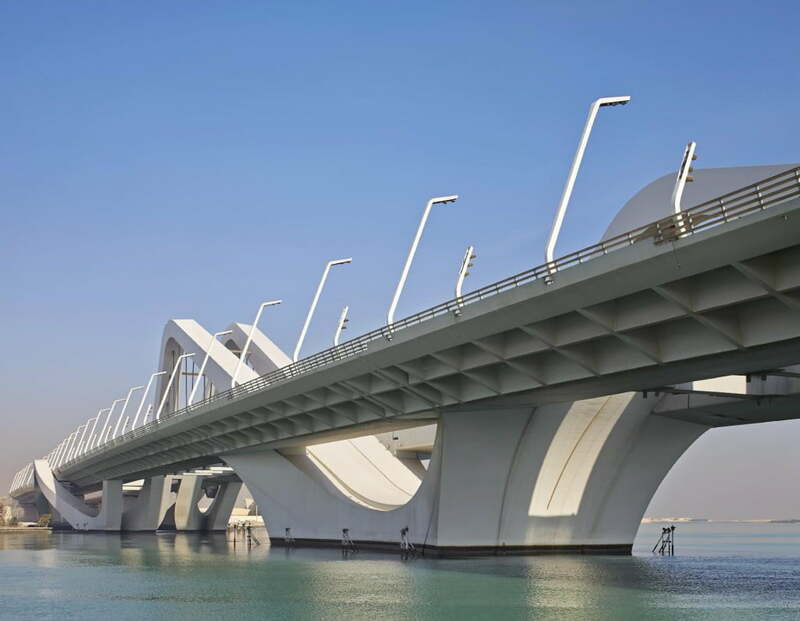 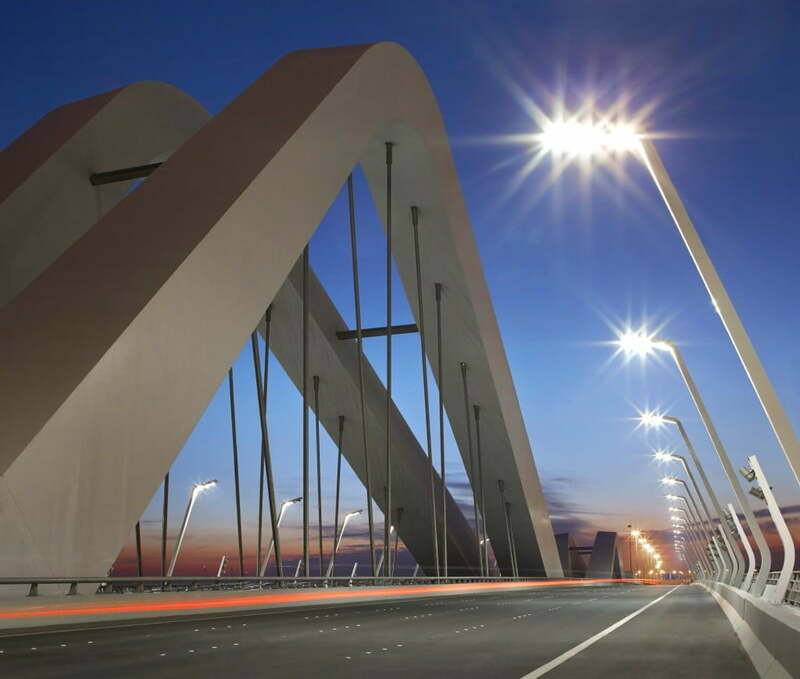 So, Wingers – This is all about beautiful design of Sheikh Zayed Bridge, which is one of the latest addition in the list of world architectural monuments. 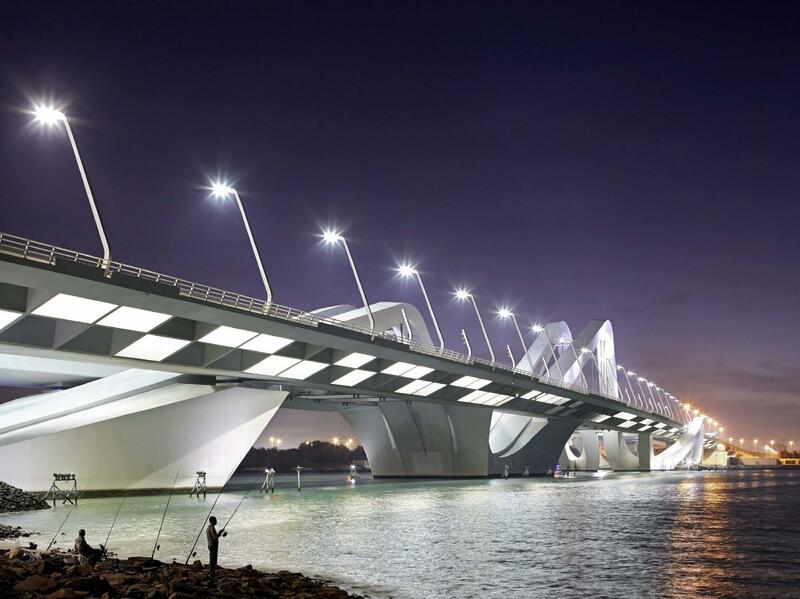 Have a thoughts or threads on the bridge construction around the world or a cool bridge designs and bridges images to share with us.